So Binary.com, the original binary options broker (formallybetonmarkets.com) is launching their own ICO. Before I start, you need to remember that cryptocurrency ICOs are as risky as binary options themselves (although they do offer greater upside). WARNING WARNING WARNING – DO NOT GET INVOLVED IN ICOs UNLESS YOU FULLY UNDERSTAND THE RISK!!!!!!!!! That’s because, there is a very high probability that you will lose all your money. Like with options, you pay your premium, you takes your chances. If you haven’t bet through binary options before they are basically fixed odds bets, normally slightly less than double or nothing. You either bet that something (usually an FX pair) will go up or down a certain amount, or just up or down in a certain time frame. 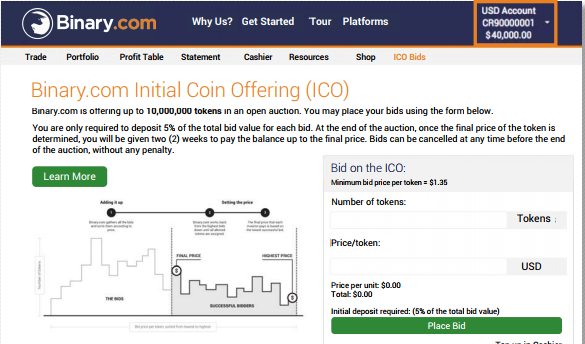 Following our latest update, investors only need to deposit 5% of the total bid value to place a bid. At the end of the auction, the final price of the token will be decided and investors will have two weeks to settle the remaining balance that’s due on each bid. This way, they won’t have to tie up important funds in order to keep their bids active. Another great news! 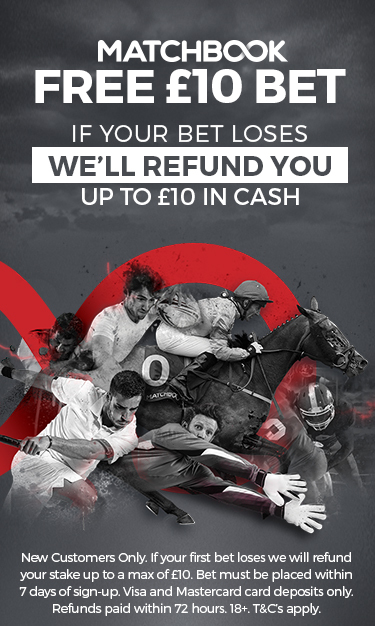 We’ve done away with the 2% cancellation fee so bids can now be cancelled at any time without any penalty. Investors who cancelled their bids prior to this update will be refunded in full. They will see the refund reflected in their account statement within the next few days.